DOUBLE FURNISHED ROOM AVAILABLE IN A 5 BED HOUSE SHARE - Bills included are- Council Tax, Tv License, Cable, Broadband and weekly cleaning of communal areas. 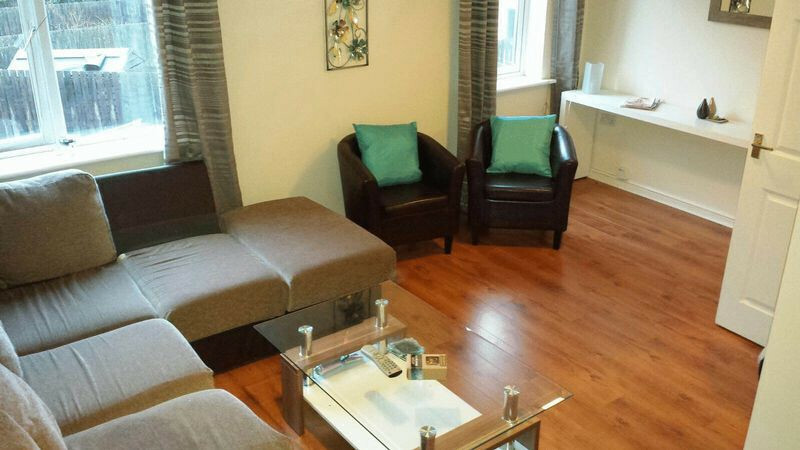 This furnished double room includes an en-suite with a built in shower and w/c. A large modern open plan fitted kitchen/diner including a fridge freezer, washing machine, dryer, cooker, hob, microwave, toaster, kettle, kitchen top TV, dining room table/four chairs as well as all basic utensils and cooking equipment. The living rooms has a large sofa, two tub chairs, coffee table, side tables & a TV. The property is located in St James Village Gateshead within walking distance of Gateshead Stadium Metro Station. Location is ideally located with close links to Central Gateshead and Newcastle as well as the wider region through the A1 and A19. NO DSS / NO PETS. Admin Fee - Half a months rent plus vat.